"We set out to make sure anyone visiting our facilities would be treated fair and respectfully. We continue that every day and try to improve with every customer we meet." Our office hours are Monday through Friday from 9:00 am 'til 6:00 pm. Customers may call our office during this time to speak with one of our representatives about your vehicle or personal property being released. 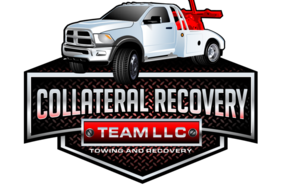 Our release hours are Monday through Friday from 9:00 am until 4:00 pm, If your vehicle has been repossessed by our company rest assured we will do whatever we can to make the redemption process a quick and painless process. If you are attempting to retrieve your personal property simply contact our corporate office at (888)967-7376. Someone will walk you through the process of getting your property back. In order for you to get your vehicle back you must first contact your lien holder. They will send us a release once things have been finalized with them. We know that your time is very important. To ensure you are not waiting for someone to help you we will set an appointment for you to retrieve your belongings or redeem your vehicle. This should cut your time at our location down to about 5-15 mins. It is our goal to ensure complete respect for you during this time. If at any time you feel you have been treated unfairly or without total professionalism please contact our office and ask to speak to a manager. Every complaint will be handle with the utmost care.